The days of the omer give us time to prepare our hearts to receive the Torah. After having first spent hours Spring-cleaning, then staying up all night reading a long Haggadah with lots of Hebrew, overeating on matzah, sipping four cups of the fruit of the vine, you’re probably exhausted from all the eating and celebrating. Well, we are not done yet. Not only do we have seven full days of eating matzah and a special holiday at the end of the seven days, but also we start counting off forty-nine days until the next big event: Shavu’ot. We call these forty-nine days the days of the omer. And we count. Every. Single. One. Of. Them. When the Temple still stood, the omer was the amount of grain offering that was offered as a sacrifice, but today it represents time that we can prepare our hearts for the giving of the Torah, which happened fifty days after Passover. So, for forty-nine days we count each night: Today is the first, second, third, fourth… day of the omer… On the fiftieth day we will celebrate Shavu’ot, the day HaShem gave us his Torah, and the day that the Holy Spirit fell on Yeshua’s disciples and filled the earth. The children of Israel were not so prepared the first time around that God gave the Torah. They were going crazy after making the golden calf and doing all sorts of unspeakable things. Out of his extreme anger, Moses broke the tablets of God because of what the Israelites were doing. The Israelites were violating every one of the freshly written commands before his very eyes. They messed up royally the first time around. Nowadays, in memory of just how unprepared the Israelites were when they were about to receive the Torah, we prepare our hearts throughout the forty-nine days leading to Shavu’ot, so that we might be prepared to receive the Torah in our hearts. We don’t want to miss the giving of a great gift; we don’t want to make the same mistake that the ancient Israelites made. We do this by being introspective, by assessing how we can be kinder, godlier, and more whole people. Throughout the forty-nine days we try to bring our hearts closer to HaShem and his Torah. And on the fiftieth night, there is a custom to stay up all night studying, engaging in words of Torah as we anticipate its arrival. We don’t sleep a wink, not wanting to miss anything the way our ancestors did. 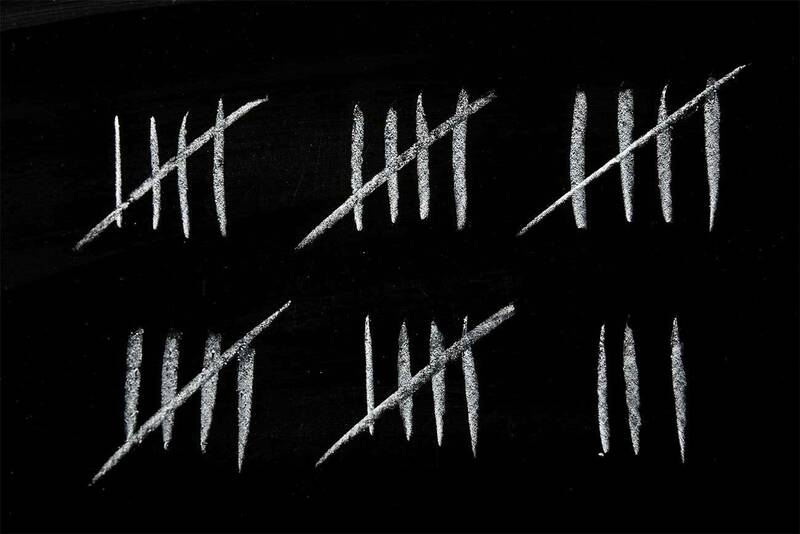 During these days leading up to Shavu’ot, take some time to count the days. Count HaShem’s blessings, and find ways that you can make yourself spiritually ready for the greatest gift God has given his people—his commandments. Don’t lose sight of the blessings that are on their way, and perhaps this year we will be truly ready to hear HaShem’s voice and witness his miracles.